What is the weight of air? An experiment I would never do with kids. How to mess up kids’ understanding of the world with so-called “science experiments”. My colleague’s son recently went to a fancy-schmancy science thing. And what they learned there is “how to measure the weight of air”. So far so good. 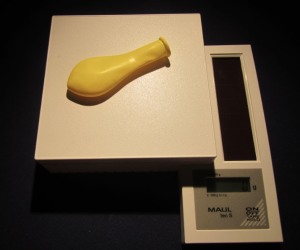 The weight of an empty balloon: Pretty much nothing (scales say “0”). So here is what they did next: They blew up the balloon and weighted it again. My scales say “2 grams”. Weight of a balloon full of air: Still not much, but more than an empty balloon. Scales say “2”. 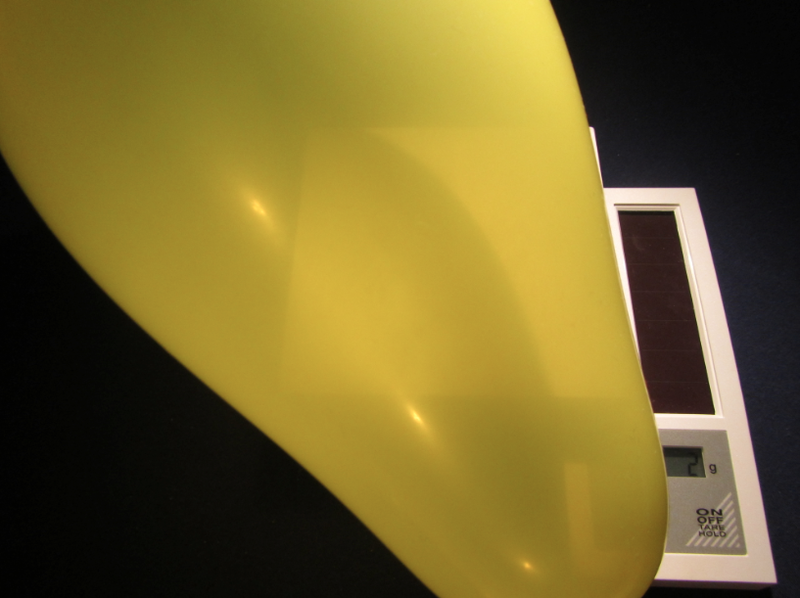 So since a balloon full of air weighs more than the empty balloon – voila: Air has weight! And here is what I think is wrong with this experiment*. This only works if you use a good balloon that is really hard to blow up. If you use a water ball or some other vessel that doesn’t need a high air pressure on the inside to stay inflated, it won’t work. And that is because what you measure is not the weight of air – the same volume of air was there before you inflated the balloon anyway. What you weigh is the increase in weight as you compress air. That’s why I wrote above that you need a balloon that is really hard to inflate (and my cheeks still hurts as I am typing this), so you really compress the air inside**. Yes, you can say that since it has weight when you compress it, it likely had weight before, too. 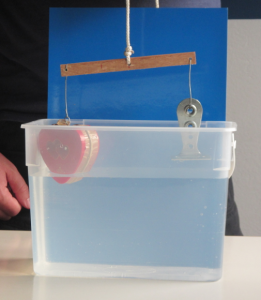 But that is not how this experiment was used, and I am pretty sure that the instructors were not aware of what exactly they were doing, but that they genuinely thought they were weighing air. Way to mess up kids’ understanding of the world with science experiments! How would I use this experiment if I were forced to? Firstly, I would use a beam balance and put the empty balloon on one side and the full balloon on the other. Much better than looking at tiny numbers on an electronic display. Then, I would make sure that they really understand that they are not measuring “the weight of air”, but “the weight of air under a certain pressure”. One way would be to use what we talked about above: Do the same experiment with a water ball on a beam balance – empty one on one side, inflated one on the other (now make sure you don’t have too high pressures on the inside of the ball!). 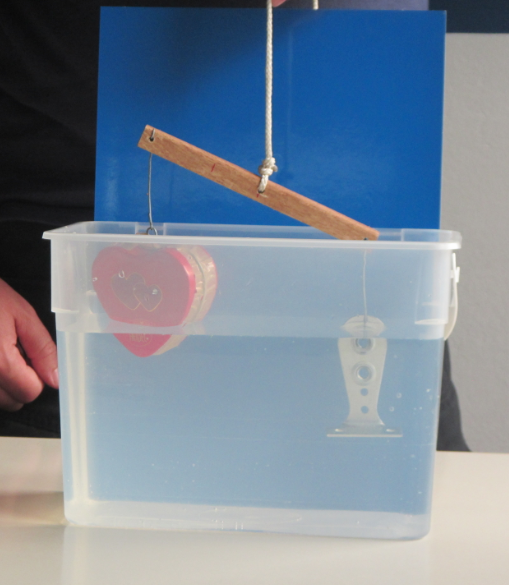 Now discuss why the air in the balloon appears to weigh something whereas the one in the water ball does not. 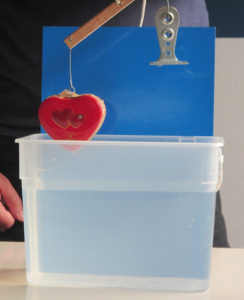 You could even have an inflated balloon on one side of the beam and an inflated water ball on the other side (adjust for the difference in weight of the empty balloon and ball by adding small weights in a first step!). Now you would have to make sure that the volumes of the ball and balloon are the same, which is actually not an easy task. One way would be to submerge them in water and measure the difference. But then when submerging them you would probably be changing the pressure at the same time… So I’d probably go with the first option! * full disclosure: my scales still said “0 grams” when the balloon was inflated, I gently tapped on it to get it to display a low, but still credible number… And I am pretty sure they did some cheating at the science fair, too, which makes the whole experiment even more useless. This entry was posted in Uncategorized and tagged air, weight on November 14, 2014 by mglessmer.